Pixar collaborates closely with the Disney Parks teams often, whether a new Pixar ride is being built or a new show utilizing the studio’s characters is being developed. Obviously, for a task as enormous as building Cars Land at Disney California Adventure (DCA), many Pixar employees contributed to bring Radiator Springs to life. 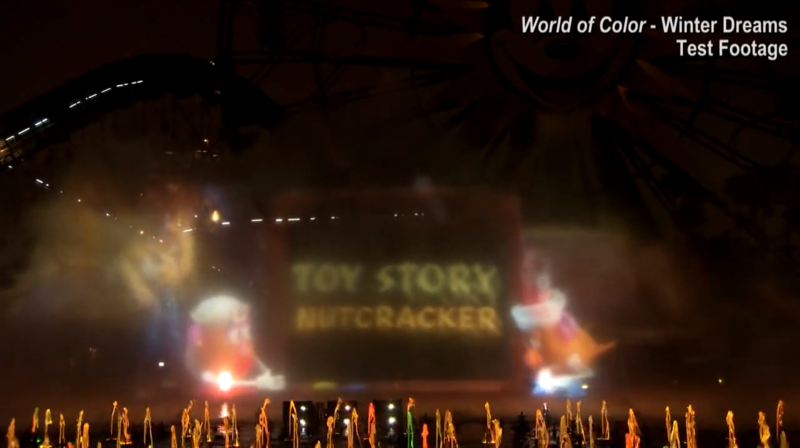 Disney Parks has recently been working on a new holiday-themed edition of its World of Color show, a nightly show at DCA that projects images on massive water effects. A Toy Story segment is being developed, for which Pixar created new animation. Learn more and go behind-the-scenes at Pixar in a new video after the break!